It’s the height of Spring Break here where I live. This being a tourist destination, hordes of students (and some teachers, too) head this way, taking a breather from the rigors of Academia. Welcome! Enjoy our beaches. Build a bonfire. Play beer pong, throw Frisbees and footballs, and watch out for sunburn as you try to tan as fast as possible. While lounging on your beach towel, you might even want to pick up a book for fun as a change from assigned reading. Have I got deals for you. The Supernatural event running from March 13 though 17 offers a pickup-truckload of Fantasy, Paranormal, and Supernatural ebooks for FREE or 99¢. Among them you’ll find The Lost King, Book One of The Bewildering Adventures of King Bewilliam. A five-star best seller, The Lost King won the All Authors Certificate of Excellence 2016. If that’s not enough, how about a box set of ten full-length Science Fiction and Fantasy novels? The novels all feature ten heroines at the right hand of destiny. In these gripping and intriguing stories, women rock rebellions, hand out justice, battle shadow gods, and bend the wills of kings. This box set contains TEN complete novels, including The Redoubt, Book Four of The Bewildering Adventures of King Bewilliam. Daughters of Destiny launches March 15 but you can order it now for 99¢. Yes, that’s ten complete novels for less than a dollar. That should fill your beach read needs. Not traveling to some exotic beach for Spring Break? You can take a thrilling journey without even stepping outside your door. 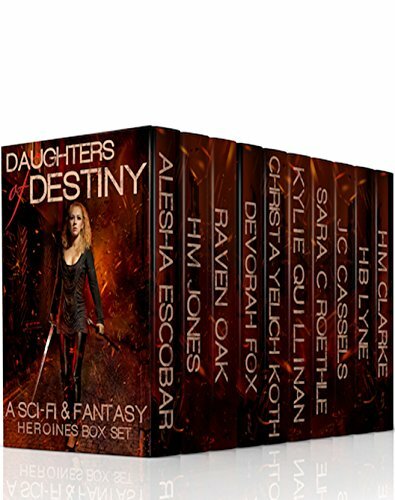 Just grab the Daughters of Destiny box set or any of the books in the Supernatural collection. This entry was posted in arts&crafts, events, play, read, the beach and tagged arts&crafts, events, fantasy, Port Aransas, read, the beach, thriller. Bookmark the permalink. Amazing collection and I love the suggestion of curling up during vacation. I don’t like to travel so I like “staycation”–with a good book. Or two or three. That’s my idea of a good holiday! Time in bed with several books! Me too. I could use a chance to make a dent in my TBR list. A fantastic collection of stories. Thought students would be too busy with “other things” to worry about reading, but I guess there may be some. Thanks. We actually had a few days of not so wonderful outdoor weather (cool, overcast, and very windy), so there might have been a little downtime to fill. Keep up the great work Devorah! It’s the first big beach event of the year, and it’s huge.